what a sweet little picture - love the little stars! I love the simple pleasures of life. Playing make-believe is still one of my faves! I really love this photo. It makes me want to build a furniture fort really badly. 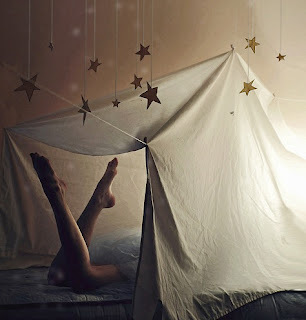 I babysit and we often build a tent and play pretend : ) Tents are my favorite.